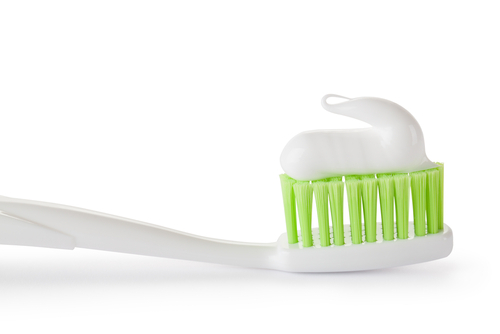 Do you experience daily fights with your child over brushing? If so, it is important that you win these battles. Homecare helps keep teeth free of harmful bacteria that can attack teeth and cause cavities and other problems. But when children are so set against brushing their teeth what can you do to encourage them in a tooth brushing habit? Read below as your Des Moines IA dentist, Dr. Jessica Johnson, explains how to use a tooth brushing chart to turn the tide in your daily battles. What Is a Tooth Brushing Chart? A tooth brushing chart is a device that parents can use to encourage their children in the development of a tooth brushing habit. These charts typically feature two boxes for each day of the week and cover several weeks. As children brush their teeth, they can check of the appropriate box, noting the day and time of day to keep track of their brushing. By itself, however, a tooth brushing chart may not be very successful in encouraging a child to brush his or her teeth. When it is used properly, however, the results can be fantastic. For the best results, your Des Moines IA children’s dentist, Dr. Johnson, encourages you to incorporate a brushing chart into your child’s life in the form of a challenge. Tell your child that he or she can receive a prize by successfully completing the chart. Make sure the prize is a good one so that your child will be sufficiently motivated. With any luck, your child will have developed a habit of brushing his or her teeth by the end of the contest, and you will both receive a prize. To access your free tooth brushing chart, visit http://www.loveyourteeth.net/. Once there, you will be prompted to enter your child’s name so that the chart can be customized. After you enter a name, the chart will load in a printable version. When was your child’s last dental visit? If it was more than six months ago, contact your Des Moines IA children’s dentist, Dr. Johnson, today by calling 515-223-9764 to schedule an appointment. 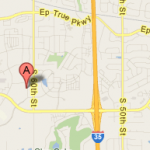 Our 50266 dentist office welcomes patients from West Des Moines, Waukee, Clive, and nearby Des Moines metro communities. Des Moines Dentist: Could Your Dental Fears Pass on to Your Child? This entry was posted	on Tuesday, July 16th, 2013 at 7:19 pm	and is filed under Blog, Family Dentistry, Patient Education. You can follow any responses to this entry through the RSS 2.0 feed. Responses are currently closed, but you can trackback from your own site.